This year, all results will appear on this page, with updates each day. All TOP 50 figures will be contacted as they are announced and asked to reveal their personal highlight of 2017. Angie Pontani, by Steve Prue. 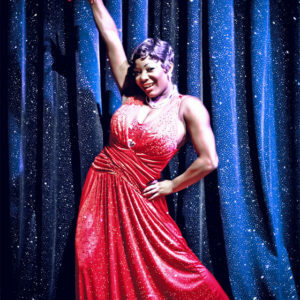 Frankie Fictitious is crowned Miss Viva Las Vegas 2017, by Tim Hunter. 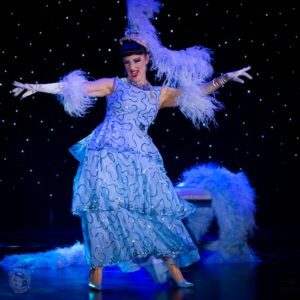 2017 Highlight: Frankie is the reigning Miss Viva Las Vegas 2017 and one half of Burlesque Hall of Fame Best Small Group 2017, Frankie Fictitious & her Tattooed Man. Vicky Butterfly at the Toronto Burlesque Festival, by Chris Hutcheson. 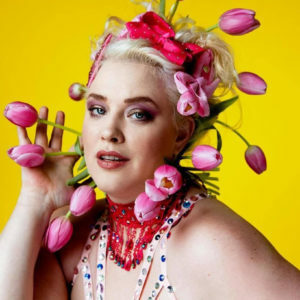 2017 Highlight: In 2017 Hazel went on a 6-country European tour, headlined at the Oklahoma City and Ohio Burlesque Festivals, and performed in a 10-week run of Absinthe in Los Angeles. 2017 Highlight: “…the SOUTHERN HEMISPHERE! 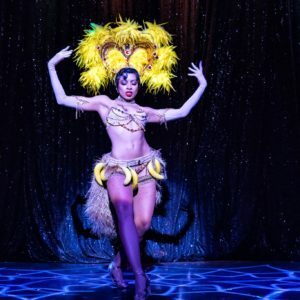 Headlining the Brazil Burlesque Festival w/Indigo Blue for Yes, Nós Temos Burlesco! 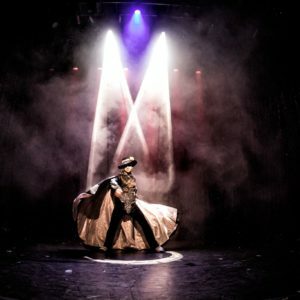 ; bringing Taylor Mac’s Obie-winning “A 24-Decade History of Popular Music” to Melbourne; and headlining the Santiago Burlesque Festival in Chile. Matt Finish in the Icons and All Stars Showcase at the Burlesque Hall of Fame Weekend 2017. Image by Honey Beavers. Sweetpea, who was awarded Miss Exotic World 1st Runner Up, at the Burlesque Hall of Fame Weekend 2017. Image by Honey Beavers. 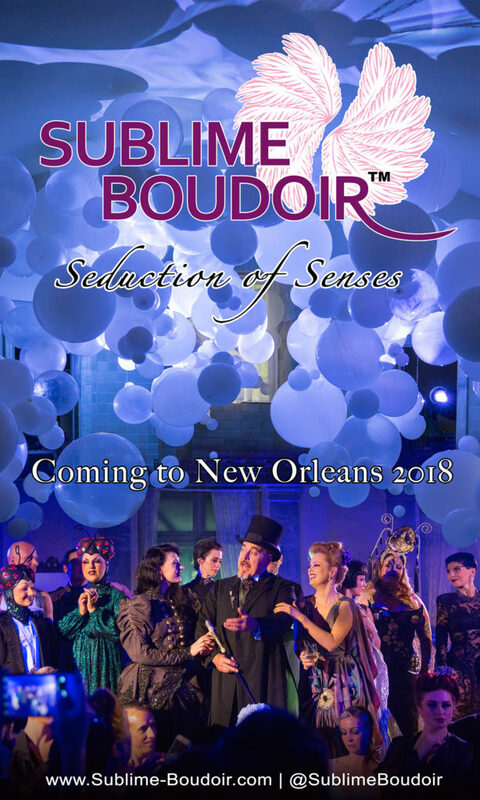 2017 Highlight: In addition to producing the Show Me Burlesque Festival, Shimmy Showdown, and numerous other large events in St. Louis, Lola also toured her original, immersive show, The Van Ella Bordella across the US, and co-produced a successful European tour of Kaleidoscope in the fall. 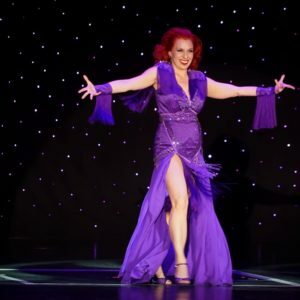 Judith Stein in the 60th annual Titans of Tease Burlesque Reunion Showcase at the Burlesque Hall of Fame Weekend 2017. Image by Honey Beavers. Egypt Blaque Knyle competing for Best Debut at the Burlesque Hall of Fame Weekend 2017. Image by Honey Beavers. Ray Gunn in the Icons and All Stars Showcase at the Burlesque Hall of Fame Weekend 2017. Image by Honey Beavers. Ophelia Flame in the Icons and All Stars Showcase at the Burlesque Hall of Fame Weekend 2017. Image by Honey Beavers. Sydni Deveraux, at the Burlesque Hall of Fame Weekend 2017. Image by Honey Beavers. 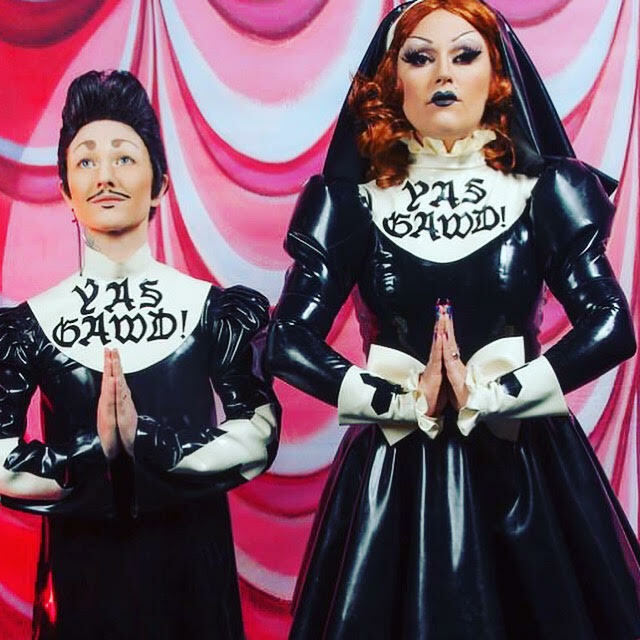 Virago Nation at the Movers, Shakers and Innovators showcase at the Burlesque Hall of Fame Weekend 2017. Image by Honey Beavers. 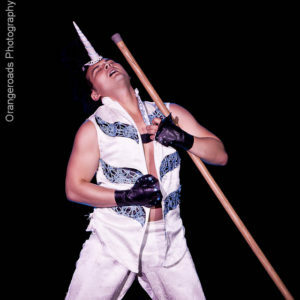 Mr Gorgeous in the Icons and All Stars Showcase at the Burlesque Hall of Fame Weekend 2017. Image by Honey Beavers. RedBone competing for Miss Exotic World, Reigning Queen of Burlesque at the Burlesque Hall of Fame Weekend 2017. Image by Honey Beavers.